Thank you for using the approved CJP logo on all print and online marketing communication materials. Consistent co-branding builds community awareness that a donation to CJP will support the essential programs, services and events your organization provides. If you have any questions about the logo files or our branding standards, please contact our Creative Director, Tony Dettore, at TonyD@cjp.org or 617-457-8560. If your agency or organization has new or revised logo standards, please make sure to contact Tony Dettore as well. Use this logo for CJP programs or if CJP is one of the main sponsors of an event or program. The majority of partner agencies will use this logo. 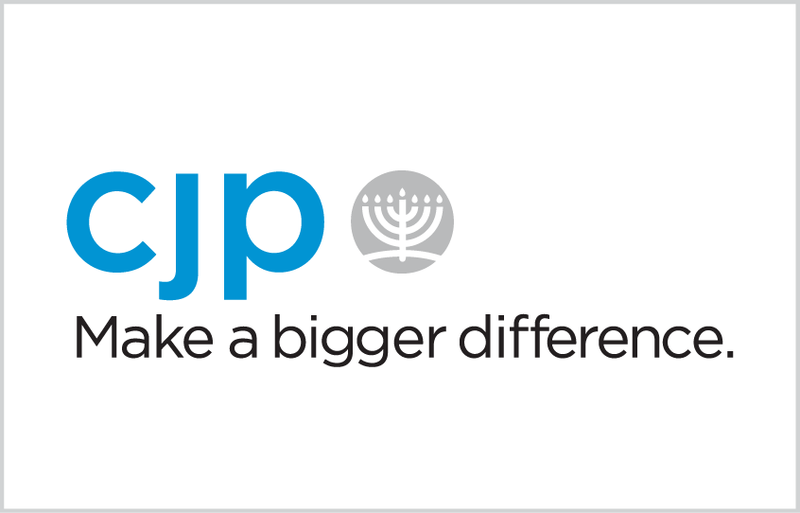 Use this logo if you are an organization, agency, synagogue, school or program that receives funding from CJP. To promote a clear and consistent message to recipients, this logo should be used any time you promote a program or service "Supported by CJP." Alternate partner logos: For more versions of this logo including sponsored by, co-sponsored by, and presented by, click here. 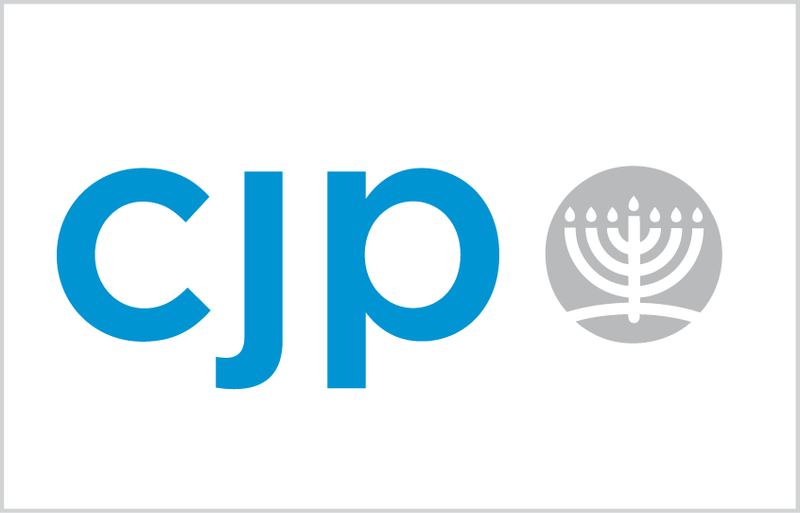 The minimum size for the CJP logo is 3/16" x-height or menorah circle. Smaller sizes cannot be read. A clearspace should be maintained around the CJP logo to protect it from compromise by other graphics (except when used with sub-brands). The clearspace on all sides should be equal to the height of the menorah circle. The CJP logo should always be used as supplied, not created. On the bottom right hand corner of the front of all printed materials, including annual reports, brochures, flyers, newsletters, invitations, ads and signage. Secondary placement can be on the bottom right hand corner of the back cover. Placement for online materials can be in the upper or lower corners. We are committed to including all CJP agency work on cjp.org with a link back to your organization or agency. 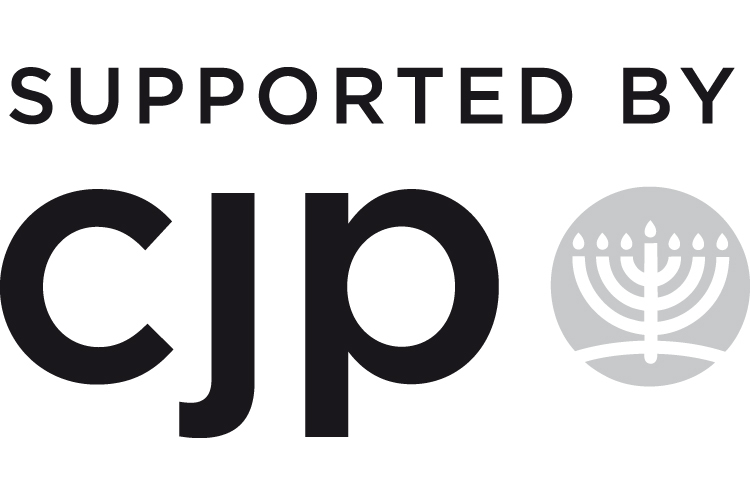 If you are an organization, agency, synagogue, school or program that receives funding from CJP, please place the "Supported by CJP" logo on your homepage. The logo should link back to cjp.org. If CJP supports a particular event or program, please place the "Supported by CJP" logo on the program or event page (again, the logo should be a live link back to our site).